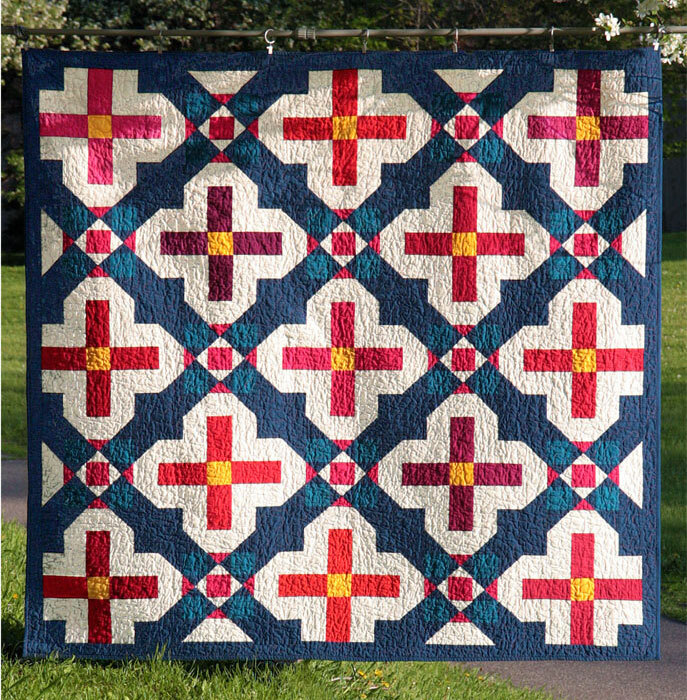 For this quilt I was inspired by the bold colors of Ukranian pysanka eggs. I wanted to make something that looked like very large white flowers with a dark, graphic background. This is a double-sided quilt. The other side is my Trellis pattern.